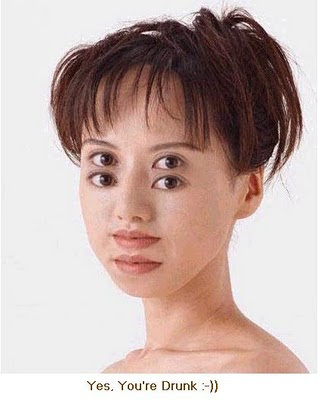 Arghh.. this picture is really so disturbing .I cant even see this properly it makes me feel like i am drunk.How much time you can stare this pic? I don't get this! Isn't this how people look? I admit that she is more beutiful than average, and I agree that after another six beer girls get that more beautiful. Oh, now I see, she has taken all her clothes off! This was a tough one!